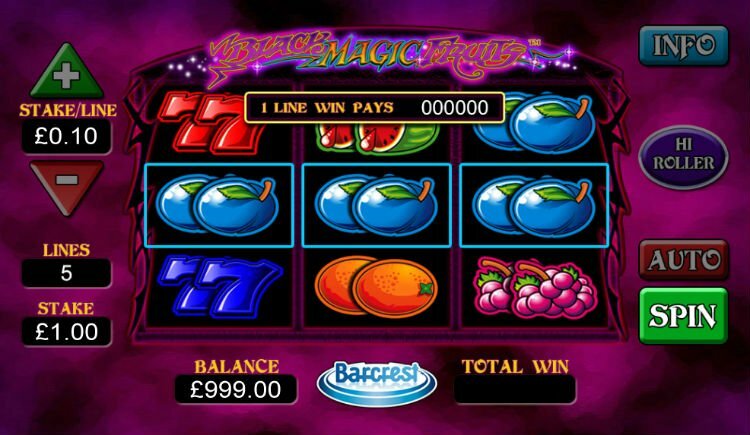 Black Magic Fruits slot is certainly worth the spin! Bursting with color and fun, this 3-reel and 5-payline slot from WMS will charm you with its simplicity and its rewarding features. Get ready to place your bets for your chance to win like a hi roller. The Black Magic Fruits Slot is a fun new video slot from Williams Interactive, better known as WMS, and is produced by Scientific Games. Unlike many other video slots that feature 5 reels, this delightful game is equipped with 3 reels, 3 rows, and 5 paylines. 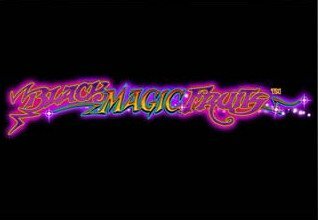 Its charm is in its simplistic but vibrant design, which will be discussed in this Black Magic Fruits slot review. Important Note: Black Magic Fruits Slot Machine is Exclusive for Mobile on SkillOnNet Casinos for 30 days starting from 26.5.2015. 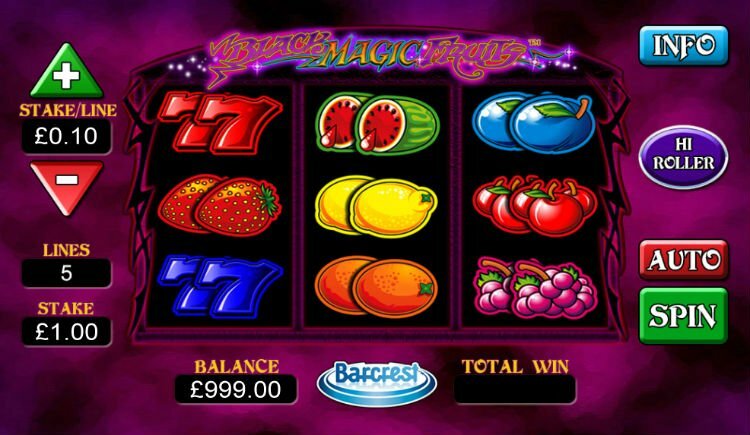 The Black Magic Fruits slot graphics are fairly basic. You won’t find 3D visuals and animations in this game. However, that’s not a problem. What the game lacks in graphics it makes up for in its bright colors and other features. Like traditional classic fruit games, the images on the reels of the Black Magic Fruits game include a variety of different succulent fruits. You’ll find oranges, grapes, watermelons, blueberries, cherries, lemons, and strawberries. In addition, there are two different colored (red and blue) 7 symbols. Spin the reels of this sweet slot and you could win up to a maximum of 250,000! Designed with a user-friendly and easy-to-read interface, the game also features a convenient autoplay function that lets you start or stop automatic spins. Although the game is not bursting with Black Magic Fruits slot bonuses, it does still have its perks. For instance, the game does have one wild symbol – the red 7 symbol – which substitutes for all other symbols during the Hi Roller game feature. To activate the Hi Roller feature, players simply need to click the “Hi Roller” button to enter the game mode. During the mode, you can play 5 linked spins for a selected bet and the reels will automatically play out 5 spins. If the red 7 symbol appears it will act as a wild and substitute for all other symbols, increasing your winning chances.